Fabulous Florets In Black And White! Fabulous Florets in black and white makes for an elegant card! Actually, most cards created in black and white have an elegant look. 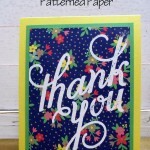 The Fabulous Florets stamp set is a great floral stamp set with a beautiful sentiment by e.e. cummings. This card actually looks quite a bit more complicated than it really is. 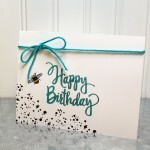 I love making cards that look really complex, but really don’t take that long to make! 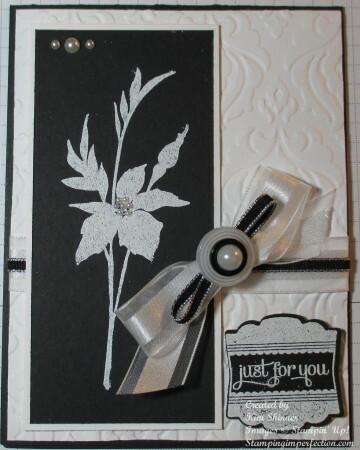 This Fabulous Florets black and white card has quite a bit of texture and dimension. It has several layers, including layered ribbons. It’s been dry embossed and heat embossed as well. 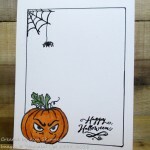 When I first stamped the images, I used White Craft ink. I liked it, but it wasn’t popping enough. When I heat embossed the image, it gave me the Wow! factor I was looking for! I also really like that the Label Love images and the Artisan Punch leave a little boarder of card stock around the stamped image. It automatically gives you the look of a mat behind the image without all of the trouble of actually making one! Create your own version of Fabulous Florets in black and white!!! Kim what a beautiful card! I love all the details, especially with the ribbon. Very, very nice. Love black and white. And navy and white, too. I agree! I can picture this in Night of Navy or Midnight Muse and White as well! A very pretty card with great details . It would look great in so many other colors too..versatile , I like versatile! Fantastic design! I love the layered ribbon. Thanks for Sharing!